I have been baking way too many sweets these days. Galettes, scones, truffles, caramels, etc. I am CRAVING veggies. We have been eating plenty of summer salads, but it has been too long since I cooked a recipe with veggies in the staring role. 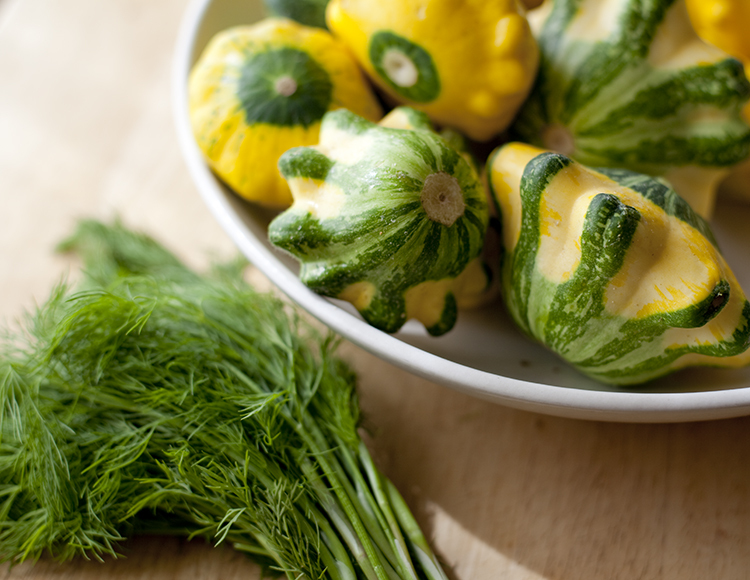 Looking for veggie inspiration, I breezed through the sweet home-grown cookbook SoupLove and was drawn to their Summer Squash and Dill Soup. As I got ready to make their soup, my creative juices got going and I ended up morphing their inspiration into my own summer soup recipe. My mom's Bolinas onions, our own backyard celery blossoms, freshly harvested garlic, and juicy Meyer lemon - all lovingly cultivated - brought depth and soul to this summery soup. In a large stock pot or dutch oven, heat olive oil over low heat. Add onions, garlic, celery blossoms, cayenne, and pinch of salt. Stew covered over low heat for about 15 minutes until onions have softened. When onions are soft, turn up heat on stove to medium and lightly caramelize the onions. Pour white wine into the pot and scrape any brown tasty onion bits from the bottom. Reduce wine by half. Add diced butterball potatoes and chicken stock. Simmer until potatoes are tender. Add squash (and a cup of water or stock if the liquid looks too low). Cover pot and continue to simmer until everything is tender. Let cool to room temp and then coarsely blend with an immersion blender. Adjust seasoning by adding salt if necessary. Toss in the chopped dill fronds and sprinkle a bit of ground white pepper. Reheat soup to serve warm and garnish with a dollop of the Chilled Dill Yogurt and maybe even an extra sprig of dill. 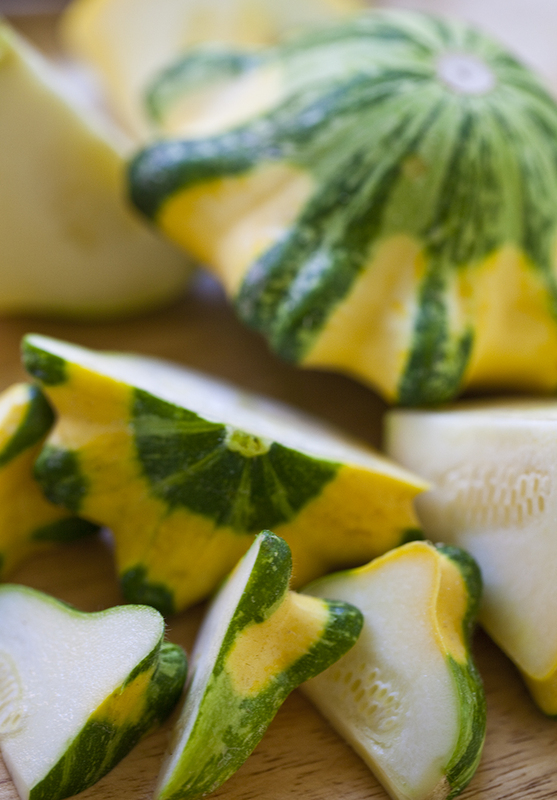 beautiful summer soup, squash is so gorgeous right now! I've bee overindulging in sweets as well, so I know, soup is a nice and very welcomed change. 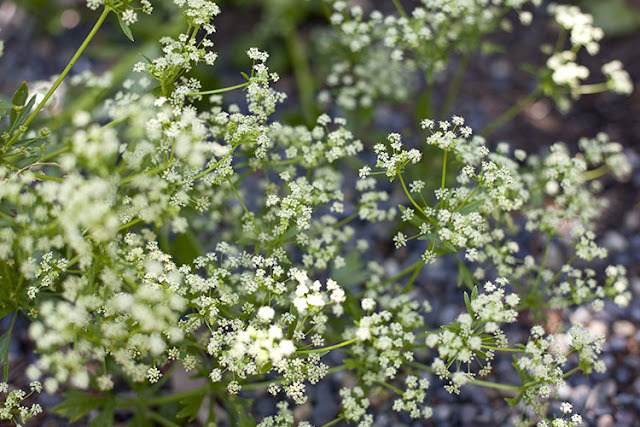 beautiful photos, I just want to grab a plate from the last one and eat it for my lunch now! Gorgous soup! Your photos are stunning. This is a must try! This soup is visually stunning and my mouth is watering at the thought of it. 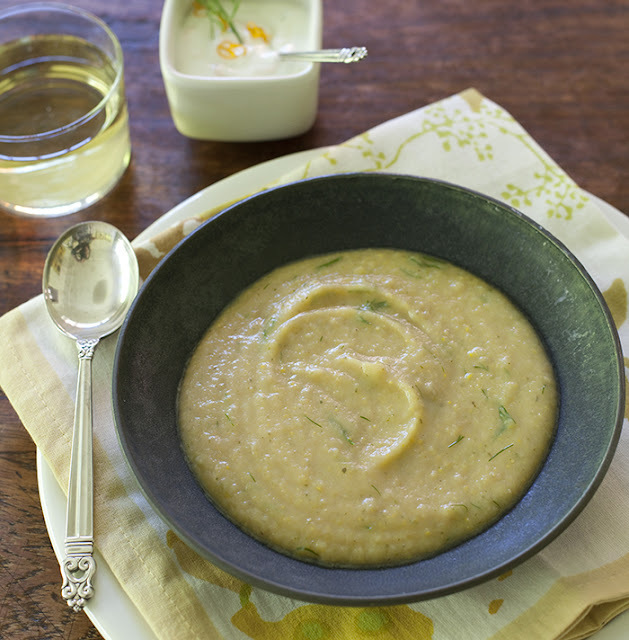 I like the idea of lightening it up a little with fresh, seasonal soup! Adrianna, I do this this soup could be really good cold... kind of like vichyssoise. Don't you love friends who give veggies as gifts!! I am new to your blog and love it. Yum! !